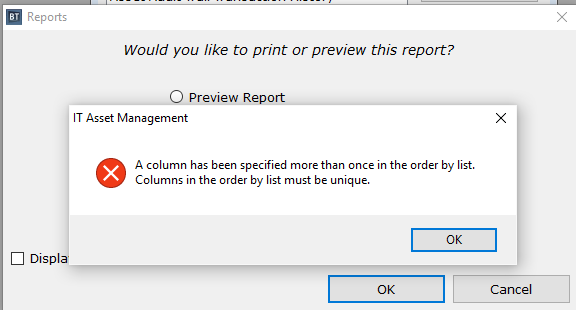 This Error Message Article explains the BACKTRACK error message “A column has been specified more than once in the order by list. Columns in the order by list must be unique” and details how to fix the underlying problem that caused it to appear. 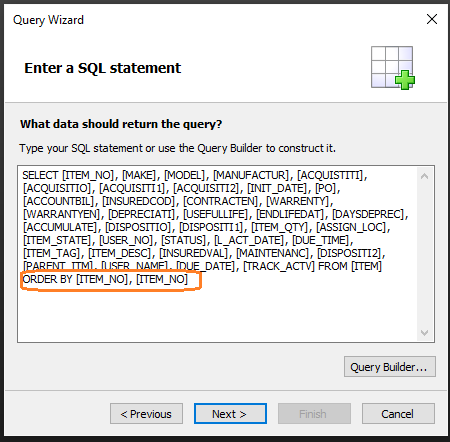 The error message points to an error in the SQL statement generated by the reporting wizard. There are duplicate entries in the ORDER BY section of the statement. This appears to be a software defect within the report writer module. The way to sidestep this issue is to not include the ‘sort by’ option in the wizard. 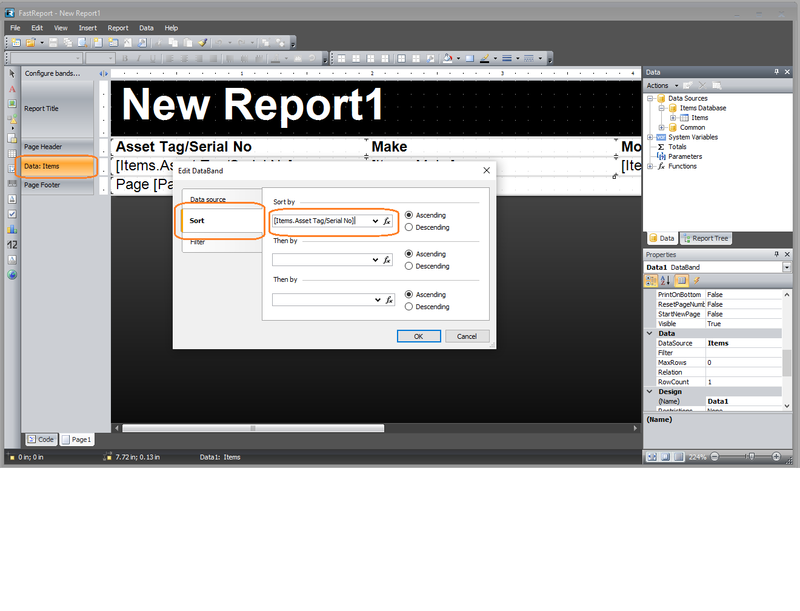 Then after saving the report, use the Advanced Designer feature, and set the sorting order by editing the Data band.